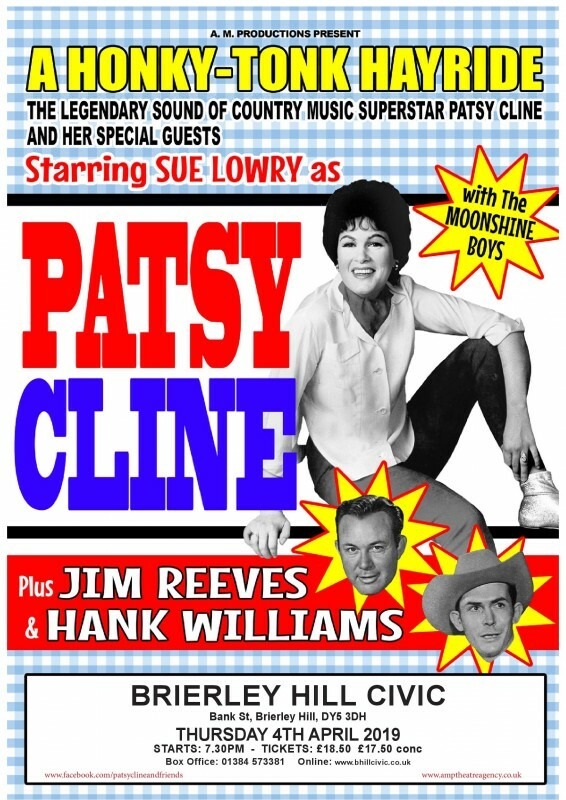 The Velvet Country voice of Patsy Cline caught the imagination of Sue Lowry, who has been a lifelong fan of Patsy Cline and Country Music. Patsy Cline was a record-breaking artist spending 251 weeks in the Country Music Album Charts in the U.S.A. A down to earth ‘Gal’ who could look good in Weston Wear or any evening dress, as she performed all the Country Ballard’s. With all the wonderful recordings she left behind this will be an evening to celebrate the power of her music! Marc Robinson, who has been up to now renowned for playing Buddy Holly, will pay tribute to the Granddaddy of Country Music Hank Williams with songs that include… Howlin’ at the Moon, I saw the Light, and Rootie Tootie. Due to unforeseen circumstances Marc Robinson is unable to perform as Hank William’s in this Show. The Talented Darren Page will take his place as Johnny Cash. Lee Davidge performs a sensitive tribute to Jim Reeves with his authentic costume and iconic mesmerizing voice, songs will include … Welcome to my World, Distant Drums, and the song everyone knows and loves – a song everyone can join in with, Bimbo! Please wear your Western wear and join us for a Hayride of a Show! Suits all ages, as long as you’re prepared for a ‘Honkin Tonkin’ good Time! Brierley Hill Civic Hall is owned by Dudley MBC and managed by Dudley CVS.